We're packing up our suitcases and preparing for lift off! More and more we are seeing brides and grooms take flight and say their "I do's" at more exotic places around the world. From Brazil to Belgium, this new wedding trend is becoming ever more popular. The appeal of the destination wedding is that it becomes a great experience for everyone who attends. Taking the time to plan a trip for everyone shows that you truly want these people to participate in your special day. This creates a more intimate occasion rather than a large affair, and really keeps the wedding trip filled with love and happiness. The stress of planning a large event is eliminated, and a smaller party can take place with less hassle. The pink beaches of the Bermuda islands inspired our blog post today. 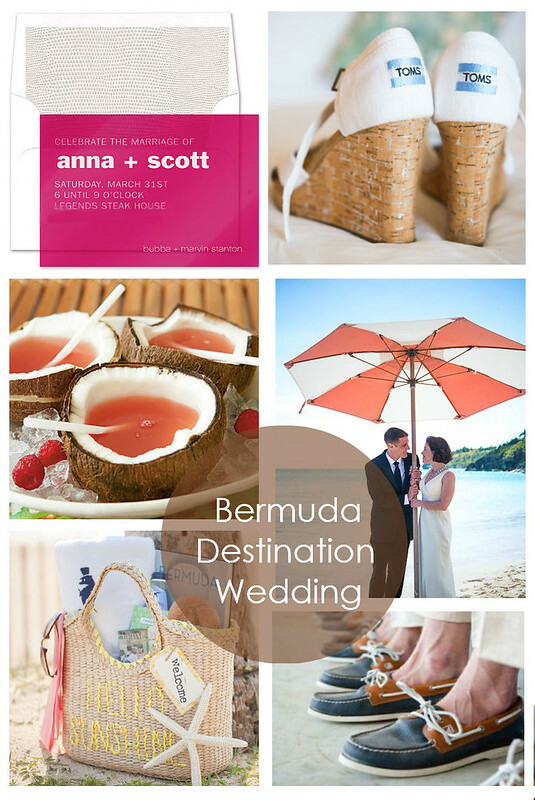 For more information on how to plan your destination wedding, read here.